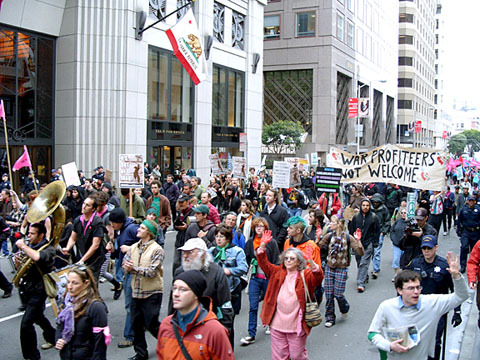 On March 19, 2008, hundreds of people took part in a peace march, spiritual witness, and nonviolent direct action protesting the United States' ongoing war in Iraq. 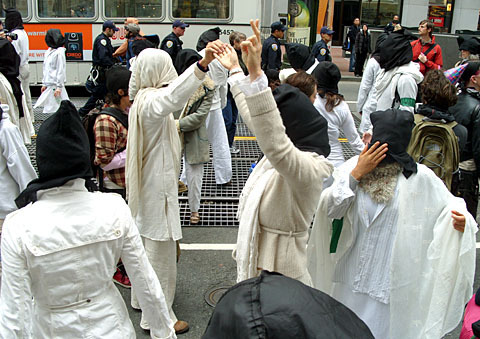 The direct action was anchored largely by spiritual-based activists, including many people from Reclaiming. The action was coordinated by Direct Action to Stop War. A march later that evening, sponsored by ANSWER, drew about 5000 people, a modest size for San Francisco. 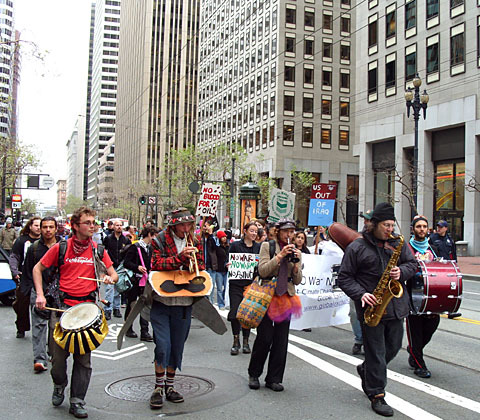 Hundreds of anarchists marched through the early-morning streets of the financial district. Many downtown bystanders supported the march. 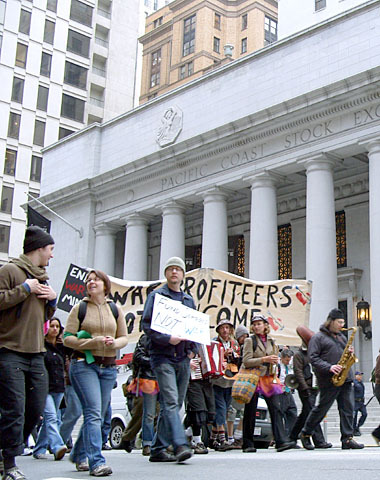 The march processed past the old Pacific Coast Stock Exchange. The Brass Liberation Orchestra and other musicians enlivened the proceedings, adding to the general din of downtown. A corps of ghostly figures appeared ahead of the march. Striking poses in the middle of Market Street, the somber figures cast a hush over the entire crowd, as protesters filtered silently through the white figures..
Too close to the action. 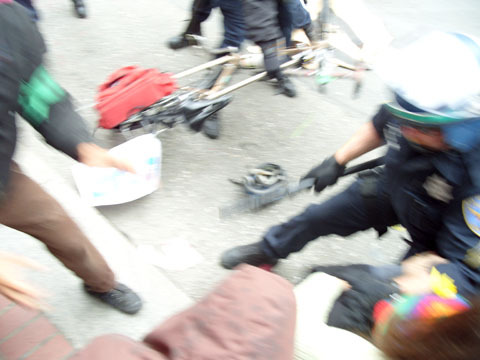 For photos of the direct action, click here. Luke Hauser (aka George Franklin) is a freelance parajournalist in the service of the Goddess and planetary revolution. 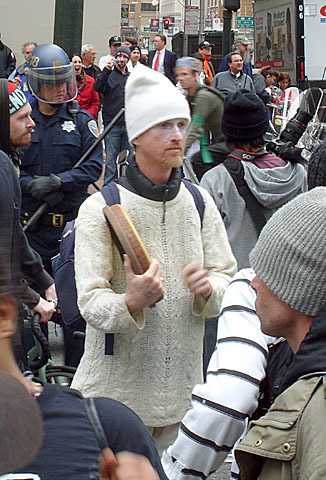 His photo-filled book Direct Action is an historical novel about Bay Area protests. Photos ©2008 by RQ. Please do not copy, reproduce, fold, spindle, mutilate, or otherwise use them without written permission. Thanks! Reclaiming Music CDs now available online - click here!